This is our range of Pro Stunt Scooters from many top brands. We also supply a wide variety of high end custom stunt scooters too! 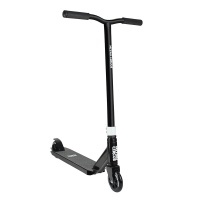 We only sell pro stunt scooters used and approved by our locals and team riders to guarantee the highest quality in our products. We also stock a wide selection of spares and accessories to help maintain all of the pro scooters. We also have an indoor skate park for scooters so can see what things last and what break so we only suggest the best for your ride. 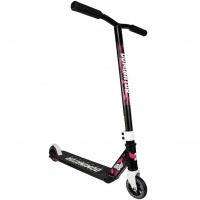 Introducing the Dominator Bomber Junior Pro Stunt Scooter in Pink and Black. 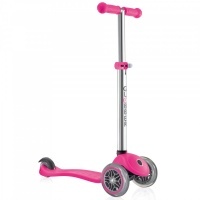 This scooter is a bargain at just under £75. Don't be put off by the low price, this is far more than a toy. The Primo, for children over 3 years, is a fun kids scooter ideal for young riders and first time scooting experiences. The Primo Plus Scooter is designed for children aged 3 years+. This stylish 3 wheel scooter has an anodised, adjustable bars with a pushpin feature with 4 height settings. The JD Bug Pro Street scooter in Matt Black is perfect for the younger rider, looking for a smooth and comfortable scooter to commute on. It has adjustable bars. 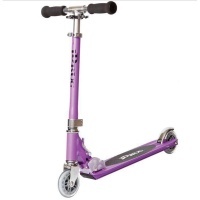 The JD Bug Original Kick Scooter in Matte Purple is a classic scooter. Perfect for commuting and riding about to and from school. 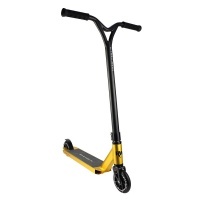 It's a folding scooter and features foam grips. 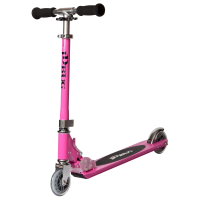 The JD Bug Pro Street Scooter in Pink is a classic scooter. Perfect for commuting and riding about to and from school. It's a folding scooter and features foam grips. 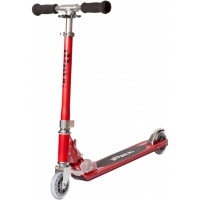 The JD Bug Pro Street scooter in Red Glow Pearl is perfect for the younger rider, looking for a smooth and comfortable scooter to commute on. It has adjustable bars. The JD Bug Pro Street scooter in Metallic Reflex Blue is perfect for the younger rider, looking for a smooth and comfortable scooter to commute on. It has adjustable bars. 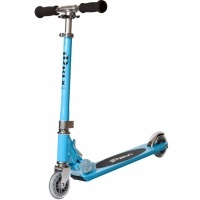 The JD Bug Pro Street scooter in Sky Blue is perfect for the younger rider, looking for a smooth and comfortable scooter to commute on. It has adjustable bars. The ideal first 2 wheeled scooter for younger riders. 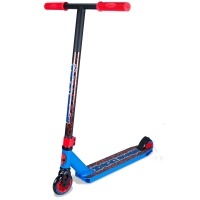 Built with high quality components giving you a lot more scooter compared with other brands in it's price range. Nitro Circus was founded by friends with a passion for pushing limits and enjoying the process. It’s this risk-taking spirit that defines everything they do. Introducing the Scout from Dominator. 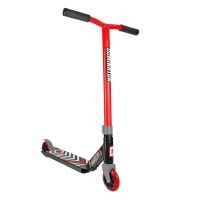 With its smaller deck and shorter bars this is a great first scooter for smaller riders at a great price.